My thanks once again go out to the lovely Katie Olsen from ‘Little Bird Publicity‘, who organised for me to read this emotional and uplifting story and who arranged for me to ‘meet’ with author Rhys Bowen on the book’s official publication day. Having already finished reading the book, for me, The Victory Garden is very deserving of the 4 out of 5 star rating I have decided to award it and my full review will be available soon .. I was born in Bath, England, of a family that was half Welsh, half English. I was educated at London University and then began my career with the BBC, where I became a drama studio manager. The British climate forced me to escape to Australia, where I worked for Australian Broadcasting before meeting my future husband, a fellow Brit who was on his way to California, which is where I settled, raised my family and have lived ever since, although I now spend my winters in Arizona. 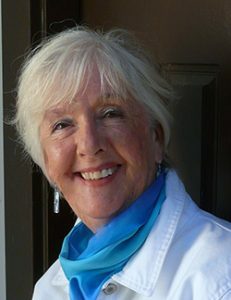 My books have made bestseller lists, garnered many awards, nominations, and starred reviews. I am a New York Times bestselling mystery author, winner of both Agatha and Anthony awards and have been nominated for the Edgar Best Novel. When I am not writing, I also love to travel, sing, sketch, hike and play my Celtic harp. Q: Your last two historical fiction novels were set during World War II, but for The Victory Garden, you’ve gone back a few decades to World War I. How was writing about the First World War different than writing about the second, and what made you want to write about it? A: In many ways the First World War was far more devastating than the second in terms of people’s lives. Cavalry generals sent young men to fight using the old techniques of a cavalry charge against tanks and grenades and mustard gas. The proximity of those trenches in France to the green fields of England meant that many young minds snapped. So many young men came home missing a limb or blinded or with damaged lungs. And many more men didn’t come home at all. This meant that women were suddenly called upon to do things that would have been thought impossible and unseemly for them to keep things running at home. This is essentially a story of women’s empowerment. Two things were the germ of this story: one was reading that the Women’s Land Army was formed in WW1 and that the women’s uniform was bloomers! For the first time these women were out of long skirts, and maybe corsets, and they cut their hair. This seemed to me particularly relevant right now, when there are so many discussions going on about the role of women in society and women asserting their rights to be in control of their own destiny. And the other spark for this story was a book I found in a used bookstore on the history of medicinal herbs. Of course I put these two together in my mind and thought: a healing garden at a time when the world needed healing. Q: Emily makes an incredibly off-the-beaten-path decision to become a member of the Women’s Land Army, rather than taking a secretarial job or something more typical of her class. She also boldly chooses a man that her parents disapprove of but who she genuinely loves. And yet we don’t get the sense that she is impulsive or making rash decisions. What were some of the challenges in writing Emily’s character, and what do you hope readers take away from her? A: You have a person who has been over-protected, sheltered, denied her own expectations of life and dying to do something to prove that her beloved brother didn’t die in vain. Her Australian flyer Robbie represents everything she would like to be. He stands up to the bossy nurses, he is witty, retains his sense of humor in spite of bad injuries. Emily would love to treat her bossy mother in the way he handles the nurses with sly humor. Emily’s main problem is that she has never been allowed to become her own person. She doesn’t yet know who she is. She has been taken straight from school to the confines of home, so she has no idea what she is capable of. Through Robbie’s strength and resilience she is able to stand on her own feet. I don’t think she really has time to consider the ramifications of becoming a land girl. It just represents her first act of defiance, but through it she learns that women of all classes have more in common with her than she dreamed—and that women are capable of a lot more than she realized. As the story progresses and she faces incredible hurdles we see her strength and determination emerge as well as her compassion. So the main challenge in writing her character is not making her seem weak or wishy-washy to start with, but to understand why she has remained compliant and docile at home when dreaming of doing more exciting things—it is because of the way her brother’s death affected her family and the promise she made to her father. Q: Society changed dramatically after World War I, not just in England but across Europe. In particular, how do you feel the role of women changed during and after the war, and how did you incorporate that into The Victory Garden? A: This was one of the exciting and challenging things to write about! WW1 slaughtered a whole generation of young men. Suddenly you have a village with no men coming home. Who will run the blacksmithy and the pub? Women had to step into jobs they did not believe themselves capable of. The Women’s Land Army is a good example of this, but women also went into munitions factories, drove ambulances or found themselves working in brutal conditions at the front as army nurses, like Emily’s friend Camilla. And because they had to move and work like men, they discarded the long skirts, the restrictive corsets, the long hair. They discovered new freedoms and also their own strength. Remember before the war women were discouraged from operating “typewriting machines” because it was considered too strenuous for them! After the war broke out, they were operating not only typewriters but ploughs and tractors and factory equipment. Q: The novel takes an interesting turn when Emily begins experimenting with herbal remedies that she reads about in Susan’s journal. The townspeople start believing her to be a “wise woman,” or maybe even a witch. What inspired you to give this historical novel an almost magical twist? A: The first inspiration was finding an old book on herbal remedies at a used bookstore. It quoted old “recipes” for all kinds of ailments going back to Elizabethan times. And I know from experience, growing up in England, that families still used herbal remedies in my childhood. If one grew up in the country there was always a wise older person around to say “What you need for that is a tea made with….” and would know concoctions of local plants. But I also knew that witches were hanged in England until the 19th century! And of course anyone who was known to provide herbal cures could be accused of being a witch. Someone died unexpectedly after drinking an herbal potion! The old journal and the herbal recipes made this such a fun and different kind of book to write. And of course I have already found that I love writing in two time periods! Q: At one point, the working title of this novel was The Healing Garden, but you decided to change that to The Victory Garden instead. What led you to choose this title? How do you see Emily’s story as a “victory” rather than just a process of “healing”? A: The Healing Garden was my first title. I liked it because that is the theme of the book: healing oneself through healing others. The marketing department thought it might sound too gentle and New Age-y and not give the feel of desperate wartime. 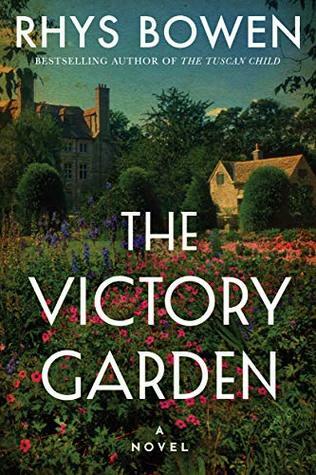 When I found out that the term “Victory Garden” was first used in WW1, my editor and I thought it would make for the perfect title, because the book is about victory against all odds, both for the country and for Emily. Q: You’ve now written three standalone historical fiction novels. How does writing these compare to your other mystery series? Is there more research involved, or other ways you have to adjust your approach? A: When I write my series it is like visiting old friends. I know my environment. I am familiar with the characters, so it is always a delight. However, I absolutely love the freedom of writing my standalone novels, and yes, there is a lot of research involved for each of them. And it feels so free to have the ability to visit such different times and places. So far, all my standalones have all had the backdrop of war, which of course provides a time of heightened emotions. Q: What can readers expect next from you? Are you planning any more World War I novels after this one? A: I do have more WW1 ideas, but the next subject I am going to tackle goes back further into history: a novel about Queen Victoria in Nice and a young woman who becomes her chef. One of my great blessings is that I have more ideas than I will ever get to tackle in my lifetime! This is an excellent interview with the author, Yvonne. I always enjoy the insight gained from posts like these. It sounds like some similar themes are explored as in another novel I read last year based during WWI… yet I’m intrigued by the addition of all the herbal lore. I look forward to your full review! I also look forward to the next book she mentioned about Queen Victoria! I’m not so sure that a novel about Queen Victoria would be quite up my street, but I am going to reserve judgement about that until I get to read the full premise. I was particularly keen to read Rhys’s stand alone novels ‘The Victory Garden’ and ‘In Farleigh Field’, as they are both set down south in my part of the UK, which from my perspective always makes a story more appealing. I don’t want to say too much about the herbal healing aspect of the story, as that would be quite a big spoiler. I would simply say that the second paragraph of her relevant answer to the question about it, is particularly in step with the storyline. Rhys is the perfect example of an author for whom a guest post slot works so well. 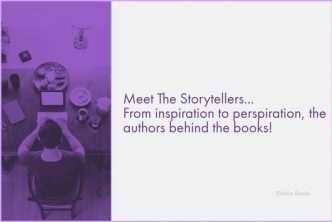 She is interesting to chat with and genuinely wants her readers to engage with and enjoy reading the story. What an excellent, comprehensive post. I thoroughly enjoyed reading it and look forward to your review. I’ve also just read Cathy’s review at Kittling Books so will definitely be reading The Victory Garden at some stage. It will do nicely for my World at War challenge. I must also say that I love the sound of Rhys Bowen’s next book! I shall probably therefore give the dust chance to settle for a couple of days before sharing my own review and to be perfectly honest, this amazing Q&A session filled in most of the gaps on its own! 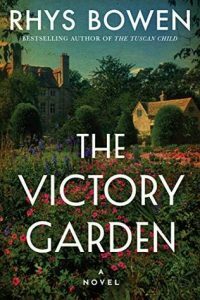 The fact that much of the action in ‘The Victory Garden’, takes place down in your neck of the woods – Devon, would almost be a good enough reason in itself for me to read the book. Her previous book ‘In Farleigh Field’, which concentrates on WWII, gives the game away in the title, as part of the action takes place around Farleigh Castle, which is literally 5 or 6 miles away from us, so digging this one out and getting it to the top of my TBR pile is a no-brainer, now that I know just how much I enjoy Rhys’s style of writing and delivery. Wonderful interview, Yvonne! I enjoyed The Victory Garden and appreciate every question and answer. I took a quick peek and noticed that your latest post was your review of this book, so I shall be hopping across real soon to read it in more detail. I hope that, like myself, you enjoyed this book and the excellent feel it gave for the social history of the times. I might hold off on my own review for a couple more days, as there have been a flood of them hitting the blogosphere and it looks as though we all had pretty much the same things to say about the storyline, characterizations and style of writing. For now, suffice to say, that I am very keen to read more of Rhys’s books! Thanks for introducing Rhys and some great questions and answers. As always its a honour to gain an insight into the person behind the story. I really enjoy putting together a good guest post, which I know has been written with thought and consideration by an author. I don’t necessarily need to have too detailed a personal biography, but a more general discussion about the ‘whys and wherefores’ of a book, can really give me a feel for a style of writing, a timeline, location and an insight into the characters and storyline, before I begin reading. Happy weekend Yvonne and thanks for the interesting post to both you and Rhys Bowen. I do have quite a full week with publicist commitments, however my review is almost there and I hope to publish next weekend or thereabouts. I have family who are big tea drinkers and familiar with all the herbal blends. Me, I am not quite so much of a connoisseur. I do drink tea, but as with my coffee, I take it black and sugarless, so I tend to stick to either Earl / Lady Gray, or fruit teas, although I do have quite a liking for the blends which include ginger, the spicier the better! I am not really a big fan of green, peppermint or chamomile blends.